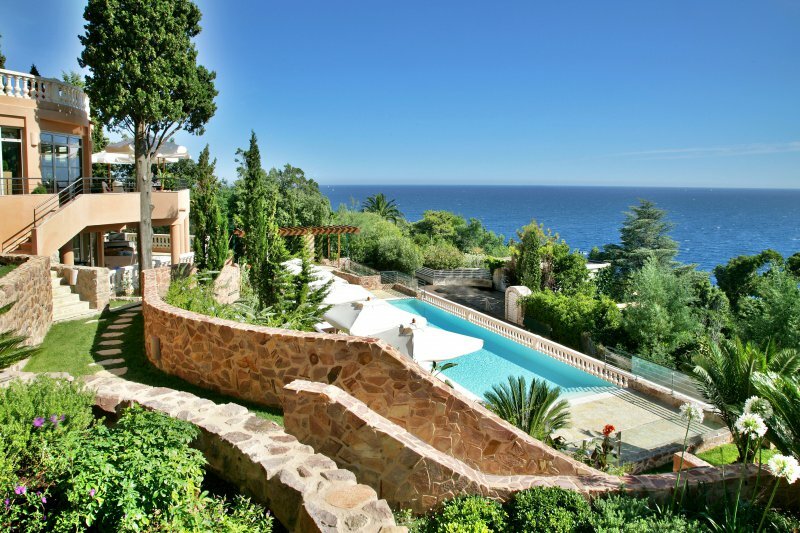 A Mediterranean villa near Cannes legendary beach-front. The Five Seas hotel is renowned for its high luxury standards, outrageous interior design, extravagant rooftop pool and spacious rooms. 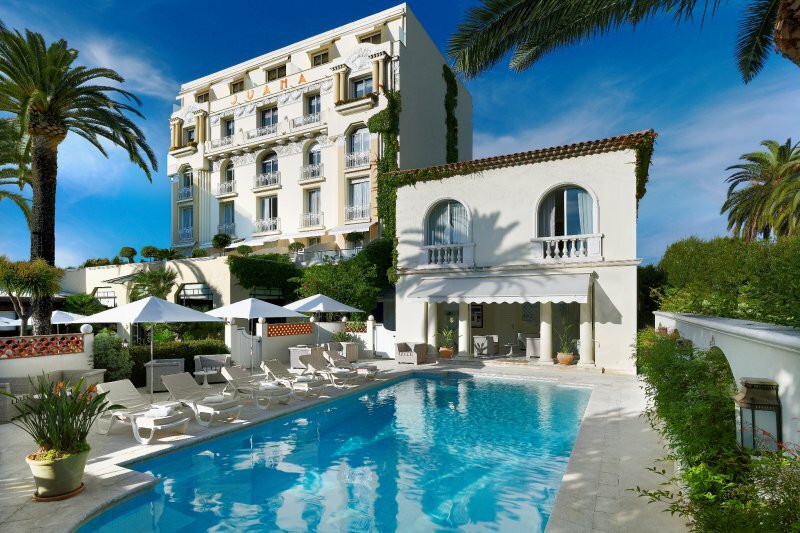 A Mediterranean Hotel near Cannes legendary beach-front. The Five Seas hotel is renowned for its high luxury standards, outrageous interior design, extravagant rooftop pool and spacious rooms. The hotel has a unique location within Cannes, not many hotels are this close to the beach and the city centre. Therefore the hotel is very suitable for different travel purposes, whether you are looking for a luxury beach destination, a business stay or a shopping spree. Because of the limited size of the hotel, the service level is very high and personalized. Do not lift a finger, the staff will take care of all your requests and more. The rooms are very spacious and filled with a pile of luxury. Expect the latest in-room entertainment systems, the presidential suite comes with a private, glass-made jacuzzi. The restaurant 'Le Roof' at the Five Seas hotel is one of a kind. The Chef Arnaud Tabarec runs the 'cuisine' with pure passion and they make use of the best products around. As the name already reveals, the restaurant is located at the top floor offering you mouthwatering dishes and stunning views. The 250 m2 'city' spa is at the hotel has been created in collaboration with Cinq Mondes and Carita. Four treatment rooms including one double room, two saunas, a hammam, a relaxation room, and a high-tech gym are at your disposal. The famous beachside boulevard La Croisette is just a few steps away from the hotel. 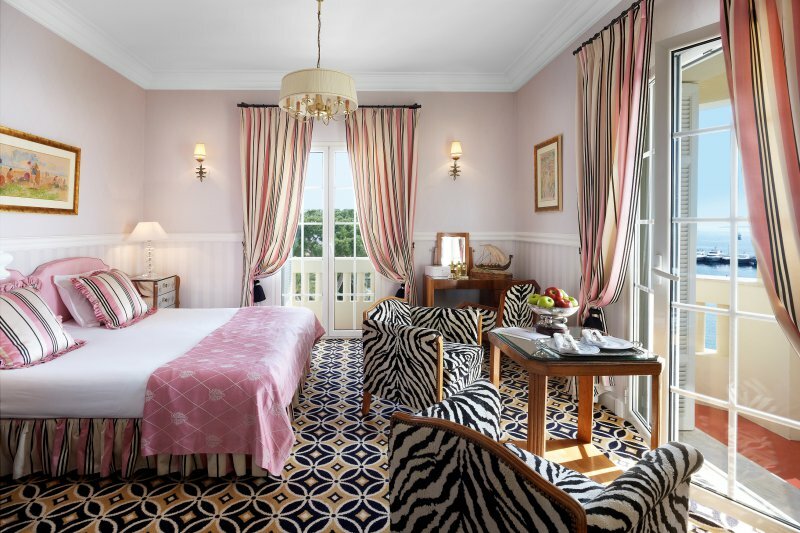 The hotel even has a private back at the famous Plage du Festival, named after the 'Palais du Festival' which is Cannes legendary trade show centre and home to the annual, internation Film Festival of Cannes. Golf lovers can eat their heart out as the hotel has set up a special partnership with the Golf Country Club of Cannes-Mougins. AzureBooker played the course and by experience we can inform you that this course is a true gem along the French Riviera. Cannes is famous its annual International Film festival but this place has so much more to offer like a beautiful white sandy beach, a magnificent golfcourse, excellent clubs and great restaurants. Cannes is not a enormous city yet big enough to have its own city-pulse. A luxurious and well hidden boutique retreat on the coastal foothills near Cannes. A place hard to find but not to be missed!